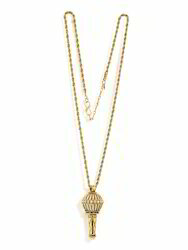 We have established ourselves as coveted organization, involved in manufacturing and wholesaling of Ladies Necklace, Ladies Earring and many more. These products are offered by us at competitive prices. 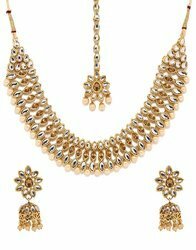 Pioneers in the industry, we offer Gold Plated White Kundan Choker Necklace Earrings Tika, Gold Plated Multi Strand Faux Diamond Filigree Pendent set, Bindhani Indian Wedding Bridal Kundan Pearl Necklace Set, Gold Plated Traditional Kundan Choker Necklace Earrings Tika and Bindhani Ethnic Long Rani Haar White Necklace Set from India. 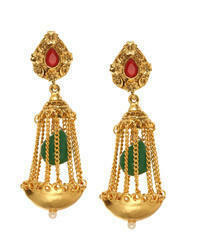 Our range of products include Earring Maang Tika Set and Earring Maang Tikka Set. 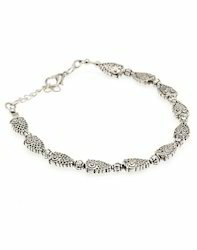 Providing you the best range of Bangle Set, Ladies Bangle, Ladies Bangle Set, Silver Bangle and Silver Bangles with effective & timely delivery. 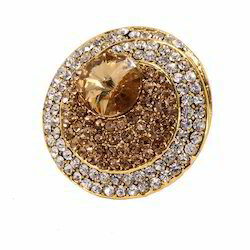 Leading Manufacturer of Golden Brown Stone Copper Cz Figner Ring, Yellow Gold Enamel Copper Finger Ring, Golden Stone Copper Finger Ring, Ambur Brown Stone Pearl Finger Ring and Cluster Bud Copper Gold Tone Finger Ring from Bengaluru. 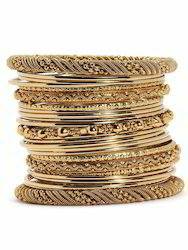 We are a leading Manufacturer of Stone Bangles, Traditional Gold Polki AD Stone Bangle Set, Bindhani Traditional Gold AD Stone Meenakari Bangle Set, Gold Plated American Diamond Pearl Handmade Bangle and Traditional Antique Gold Stone Bangle Hand Cuff Bracelet from Bengaluru, India. Providing you the best range of Silver Antique Bracelets, Traditional Gold Plated Pearl Wedding Bracelet Bangle Ladies, Traditional Stylish Gold Stone Bangle Hand Cuff Bracelet, Traditional Gold Plated Pearl Bracelets For Gilrs and Pearl Stone Traditional Fancy Bracelet with effective & timely delivery. 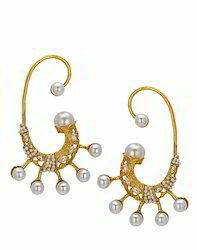 Pioneers in the industry, we offer Earring Set, Gold Plated Hoops Pearl Kundan Designer Earrings, Golden Pearl Earrings, Gold Plated Stone Earrings and Peacock Enamel Earring from India. 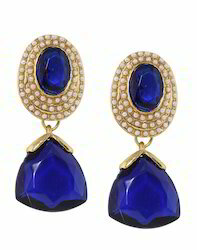 Pioneers in the industry, we offer Blue Stone Pearl Earrings, Bindhani Paisely Peacock Gold White Earring Set, White Stone Chandelier Dangle Gold Plated Earring, Fancy Stylish Pearl Dangler Fusion Party Gold Earring and Bindhani Fusion Red Stud Drop Earring Pair from India. 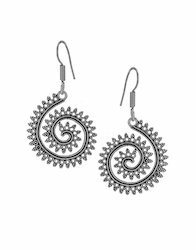 Our product range includes a wide range of Oxidized Silver Bohemian Earrings, Silver Plated Hammered Jhumaki Jhumka, Oxidized White Silver Earrings and Oxidized Peacock Earring. We are a leading Manufacturer of Gold Plated Pearl Ear Cuff Earring Set, Enamel Pearl Ear Cuff, Red Enamel Pearl Ear Cuff, Pearl Chain Gold Plated Ear Cuff and Fancy Ear Cuff Gold Tone Stone Ear Jacket from Bengaluru, India. We are a leading Manufacturer of Antique Black Silver Oxidized Bajrangi Bhaijaan Pendant from Bengaluru, India. 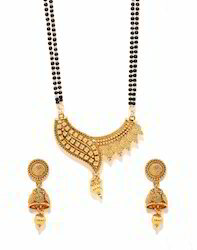 Pioneers in the industry, we offer Mangalsutra Long Earring Traditional Set, Gold Plated Mangal Sutra Pendant Earring Set, Mangal Sutra Traditional Black Gold Beads Set, Mangal Sutra Traditional Gold Plated and South Temple Gold Black Bead Mangal Sutra Earring Jhumki Set from India. 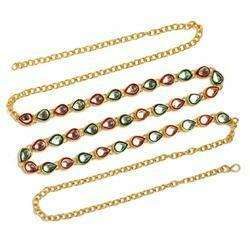 Providing you the best range of Bindhani Copper Polki Traditional Earring Set, Bindhani Copper Kundan Polki Pearl Jhumki, Bindhani Chandbali Dangle Red Green Polki Kundan Earring, Bindhani Antique Gold Plated Tassels Earring and Bindhani Traditional Wedding Copper Jhumaka Set with effective & timely delivery. 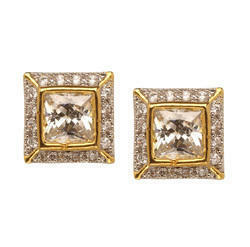 CZ stone is cubic zirconia very highly embellished enriched with ruby stone or white crystal stone. 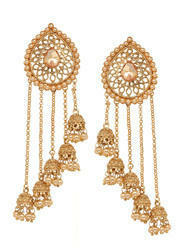 High gold tone polish with long lasting plating and stunning look at the best. Can be cleaned easily with dry cotton gauze after use. Shine will remain long lasting. 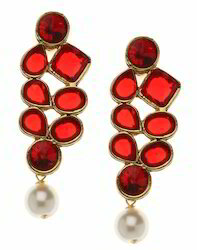 Pioneers in the industry, we offer Bindhani Bahubali Style Dangler Pearl Jhumki, Bindhani Paisely Pearl Ad Stone Designer Earring, Bindhani Wedding Bridal Bollywood Kundan Jhumka Earring Set, Bindhani Gold Plated Dangle Jhumki Kundan Designer Earring and Bindhani Square Base Gold Plated Pearl Chain Earring from India.